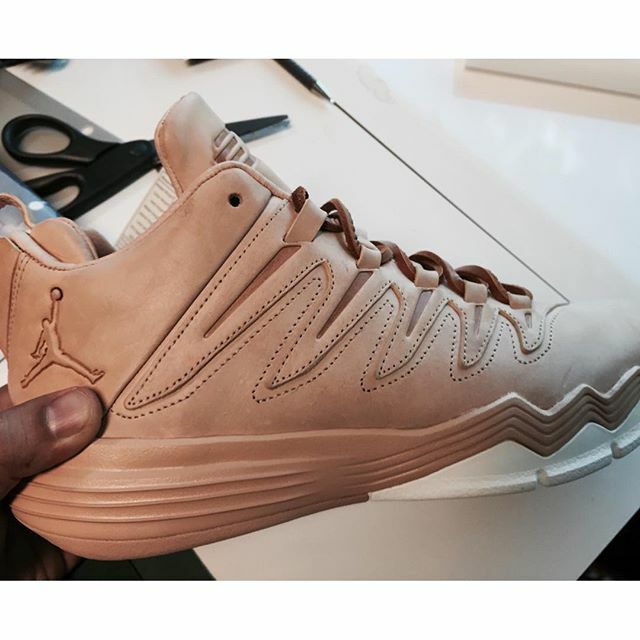 Watch out Hender Scheme, the Jordan Brand is looking to emulate the vegetable-tanned leather look on the upcoming Jordan CP3.IX model. 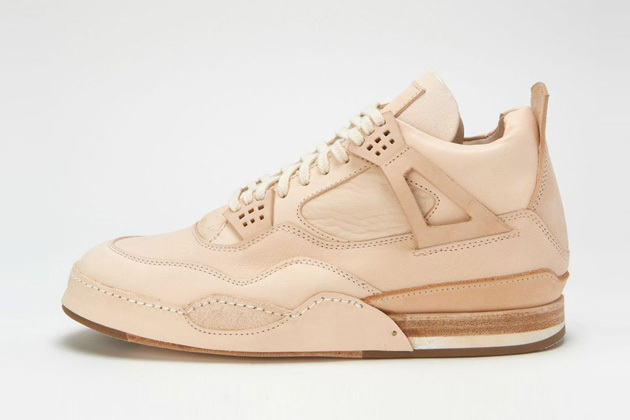 If you guys didn’t know, Hender Scheme recently knocked off the Jordan 4 silhouette, souped up the shoe with a premium beige vegetable-tanned leather, and priced the shoe at $1000. It appears Jordan Brand is returning the favor a bit, while simultaneously boosting the look of the latest CP3 sneaker. It’ll be interesting to see what other materials will be used on the 9. As for the tech, it looks like tried and true Podulon/Cushlon setups have been replaced by forefoot Articulated Zoom Air. We’ll keep you updated on the release info for this Jordan CP3.IX, as well as official launch details for the sneaker. With that said, we want to know what your thoughts are on this colorway and the overall CP3.IX in the comments below. CP’s usually cost around $120 so that’s a pretty reasonable guess. These look like you can rock these casually. I don’t get the name, I like vegetable’s but how’s that? Looks like leather,..
It’s not a name, vegetable-tanning leather is the process used to make the shoes. Just google the process. Ohhhh tanned with veggies instead of dangerous chems..if only synthetic then, and cp3 ahh sorry not a fan. These are sweet! Love the leather look.